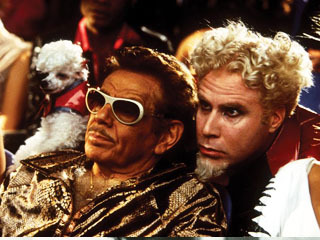 Oprah Bashing is so hot right now. Le sigh. The peasants are revolting. Let them read Danielle Steele* but heaven forbid they read Dickens! How dare they do so while not taking a literature course! The nerve! Go read that linked article, then come back here.... (Looks at watch) Oh you're back! Okay, let's begin. Kelly's problem is Oprah admitting that she hasn't read Dickens and by not reading Dickens she has lead her lambs to slaughter. Or possibly lemmings off a cliff; I'm not sure how she imagines Oprah's followers. I think she's missed the whole point of a book club. In a book club, members read a book together, bringing their own opinions and ideas to the table. In a book club, there is not an expert at the head of the class telling everyone what to think and how they're opinions are wrong. Yes, it is democratic, why do the words democratic and literature together make certain people clutch their pearls? 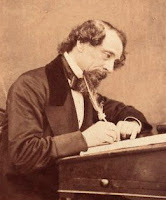 Put simply, a TV host whose maxim is to “live your best life” is not an adequate guide through the complicated syntax of Dickens, not because she lacks the intelligence—she is quite clearly a woman of savvy—but because her readings of the texts are so one-dimensional. There is such a thing as self-learning and if I had to attend a university class every time I picked up Dickens, Bronte, Austen or Eliot, I would never read them. That's a shame because these books were written by people like you and me (okay, smarter people maybe) and were meant to be read by people like you and me, not hid away in university libraries. So what if I'm not picking apart every metaphor? What's the big deal if my 'readings of the text are so one-dimensional'? I'm enjoying the words as I read them, I'm thinking of them while I make supper or fold laundry. I'm better for experiencing them even if it's not the correct way, whatever that is. The irony of all this is that Dickens and Oprah have a number of things in common. *Born of humble beginnings, often poor and neglected. *Edited a magazine before starting his own. *Wrote monthly or weekly installments of his novels which ordinary readers could afford to buy. *Introduced his audience to the real life horrors of poverty and crime while still entertaining them. *His work brought him fame and success. *First worked in radio doing the news. *Hosted her own show before founding a production company and starting her own TV channel. *Has a syndicated talk show accessible to people of all backgrounds. *Introduced her audience to the real life horrors of poverty and crime while still entertaining them. *Her work brought her fame and success. I imagine Oprah and Dickens would have a lot to say to each other. Too bad he isn't alive to be on her show. Will everyone love Dickens? No. Will she inspire some people to read more Dickens? Probably. She'll certainly inspire people who never would have read his work before to give him a try and if she makes even one person a Dickens fan then what the hell is wrong with that? *Not that there's anything's wrong with that. ** I don't think Oprah's Book Club is perfect, by the way. I am unhappy about how little time she spends actually discussing the books on her show. If her audience invests their time in these books, she should do more than spend a couple of minutes discussing them. LOVE this! I never thought about how Dickens and Oprah are similar, but you're absolutely right. I love the imagery of Dickens being on her show. Ugh, I hated that article. I'm glad you pointed out the similarities between Oprah and Dickens! I do agree that Oprah should spend more time on the books she recommends for her book club, but at the same time, I just think what she does is great. How many people read a book because Oprah told them to? Please, that's better than not reading at all. And, for the most part, they're wonderful books. I think it's fantastic. People get really weird about Oprah's book club but I think if it's getting people to read, who cares! And I do think she's picked some great books. 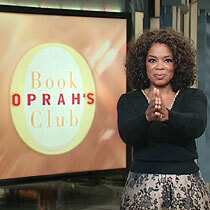 I've never actually WATCHED Oprah, but I love the fact that she has a book club. I didn't realize she didn't discuss the books very much. And yes, it would be fun to see Dickens on her show. I'd watch that episode! I think its great that she is challenged her audience with something that they might not have picked up on their own. She did the same thing a few summers ago with a bunch of Faulkner novels (and I actually own the Oprah edition of those novels). People can say what they want to, but she is encouraging reading! That's a great thing! I'm with everyone else here. I am pro-Oprah and so glad she is encouraging reading AND buying books! I don't agree with all of Oprah's beliefs, but I like her and I like that she's getting people to read more. Especially classics like Dickens. People really do need to get over themselves and worry about things that need worrying about. I'm glad to see most of the comments after that artcle disagree with the writer. Surely if it encourages reading its a good thing, that writer has a chip on her shoulder. Melissa- I was surprised at how alike they are even though they are from different eras. Lu- She does pick books that make you think. Rebecca- That would be an excellent episode! Allie- I don't think challenging is a bad thing and that writer underestimates Oprah's audience. April- So few popular cultural icons promote reading like she does. Queen- I don't always agree with her either but when it comes to reading I'm 100% behind her. Hm, makes one wonder how people in Dickens' own time managed to enjoy and understand his work. Especially seeing as how most of them were probably less educated and well-read than Oprah is. There are plenty of things that annoy me about Oprah, but her book club has never been one of them. I've always thought her selections were of decent quality, even if in the early years of the club they skewed a little too much toward being sentimental stories of women triumphing over victimization. And I think she's mostly focused on classics in recent years--Faulkner, Steinbeck, Garcia-Marquez. I don't see anything to complain about there! That article is loathsome. The literati LOVE to bash her. I think they are just pissed because she has an audience that eggheads at The New Republic can only dream of. How dare she ask people to read Dickens. She also asked them to read Faulkner and Tolstoy. Shouldn't that make us happy rather than bitter? I don't really have any opinions about Oprah. If the woman loves reading and promotes great literature...well, that's all I care about! I do dislike how the books have her stamp on them; that double edition by Penguin is lovely, but I'd like it better if it didn't have the Oprah logo on it. It used to be a sticker you could remove. It's just that the book has nothing to do with her other than the fact that she has chosen it for her club. Anyway, you can get other editions, certainly, and I do prefer to have the two books separately. Still. Many, I've discovered, won't buy the book if it's got Oprah's stamp on it. I actually bought three Dickens books this morning! (Which had nothing to do with Oprah and everything to do with the time of year, I think!) I'm quite excited about them: The Holly Tree Inn, The Haunted House (both lovely Hesperus editions), and Night Walks (Penguin Ideas series). Teresa- I like how she's chosen classics lately. Thomas- And if she didn't pick classics, there'd be complaints about that. Steph- You can even download the ebooks for free. I haven't read those ones you bought. I'm glad you posted this. I've been rolling my eyes at all the huff and puff that has been going around about her picking Dickens. I don't care, as long as people give him a try. Very nicely said! Thanks for posting this. Although I've read Dickens, I'm interested to see what others think! Excellent post! I read that article several days ago and have been quietly seething ever since. Melissa's idea is a good one.... you should send this post to Oprah. What a snooty article. I think the writer got bogged down by too many literary pretensions, and forgot about merely enjoying the text--the simplest and, perhaps the best, joy of reading. As a college literature teacher for many years, I line up with what you say about people not needing a discussion leader to read good literature. Some people want that, and that's great--but one of the points of reading great literature is to enjoy it and expand your range of experience, and that can be enough. First off: Ack! What a pretentious article. Second: I completely love this post, especially how you compared Oprah and Dickens. I never knew they had so much in common. Also, this post resonated with me because I just finished A Christmas Carol a couple of days ago, and I hope to finish reading Great Expectations some time in 2011. LOVE this post and the comparison of Oprah and Dickens. You know I wet my pants with excitement when I saw her pick. While I'm not much of an Oprah Book Clubber, I WILL have this pretty editon of GE and ToTC.